Bruises at the injection site will disappear within a few week. 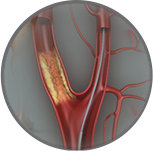 Blood trapped in a sclerosed vein can appear quite dark. This often makes the veins more noticeable in the first few weeks following treatment. Raised Red areas occur at the injection sites of small spider veins. They look like insect bites and disappear within hours. They are sometimes mildly itchy. Aching in the leg can occur during the treatment and for the first day or two following treatment. It is more common following the treatment of larger varicose veins and is usually relieved by walking. Neurofen, Voltaren Rapid pr Panadol tablets may be taken if necessary. 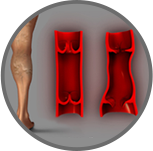 Blood trapping can form tender lumps along the course of treated varicose veins. It is harmless but may be tender, red and angry. Blood can be drained from these lumps by a needle prick. This may 1-8 weeks after the procedure and will hasten the resolution of any tenderness and help prevent any pigmentation of the skin. 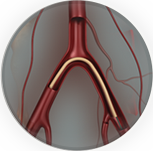 Blood trapping is most common in large varicose veins. Brown lines or marks on the skin at the sites of treated veins: When blood breaks down it can leave iron behind in the skin. These pigmented areas are composed of haemosiderin, an iron containing pigment, and are more common in patients who have navy-blue spider veins treated. Generally they will disappear within months, occasionally longer. In a small percentage of patients they can persist for years. Matting is name given to networks of fine red veins which develop near the site(s) of previous injections. The thighs are the most common site. Some areas of matting resolve spontaneously, and some resolve with further treatment. Matting is more common in patients with extensive surface veins, patients who are overweight or have a very fair complexion. If you have questions contact Specialist Vascular Clinic to seek professional advice and/or arrange for a specialist consultation.